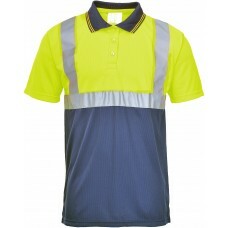 We are proud to be working with Portwest, to offer premium quality work clothes for men and women at great prices. 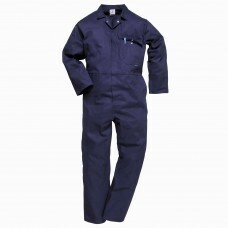 This comprehensive range includes work pants, flame-resistant clothing, safety footwear, PPE, hazard protection and hand protection. 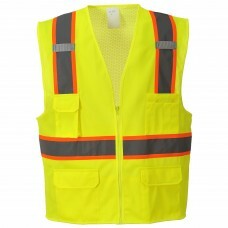 Our full range of clothing and PPE equipment is tested to all the rigorous industry standards that apply to work wear, including ANSI, NFPA and ASTM (where applicable), ensuring that you are protecting your workforce as required, from both the dangers in the workplace and weather elements such as the cold and heavy rain. Always pushing the boundaries, working with Portwest we are able to offer innovative safety clothing that really pushes the boundaries, offering better protection and better comfort for hard working men and women all over the United States. We offer discounts and are happy to negotiate prices for large orders over the phone. Delivery is free of charge for all Portwest items! We will not charge you any extra for larger sizes of clothing. Order before 11am EST and we will have your items out the door the same day. This symbol indicates that a cell phone pocket is included in the garments which carry this symbol. This symbol indicates that garments have print/embroidery access. This symbol indicates zip-in fleece feature to create a one piece garment. Two-way zipper This symbol indicates that the zip can be opened from the top or bottom of the garment. This symbol indicates that garments are reversible. This symbol indicates that the garment is made of a breathable, waterproof fabric. This symbol indicates that the garment is not lined. This symbol indicates that the garment is fully lined. This symbol indicates that the garments have a mic tab for easy attachment of a radio. This symbol indicates a half elastic waistband on trouser which allows for all-day comfort for the wearer. This symbol indicates a fully elasticated waistband on a trouser which allows for all-day comfort for the wearer. 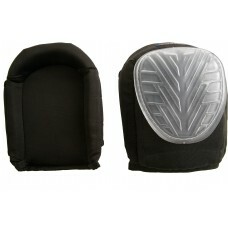 Many of our products incorporate knee pad pockets. 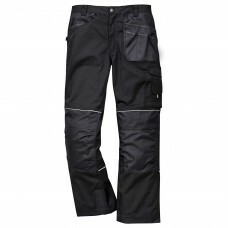 These garments have been developed to carry our range of ergonomically designed knee pads. This symbol indicates that the garments have sealed waterproof seams. 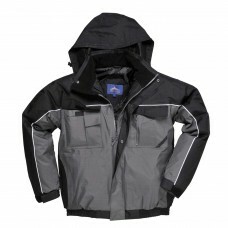 This symbol indicates that the garment has high-frequency welded waterproof seams. This symbol indicates that the garment has a detachable lining. This symbol indicates that the garment comes with a detachable hood. This symbol indicates that the garment comes with a non-detachable hood. This symbol indicates that the garment is designed with multiple pockets. This symbol indicates the fabric has a UPF rating of 50+ so will block 98% of the UV rays which fall on the garment. This symbol indicates that the product is suitable for use in ESD environments. 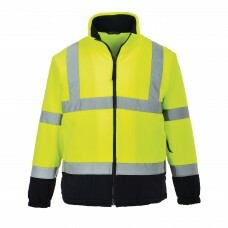 Indicates that the garment has double stitched, industrial wash, flame resistant reflective tape. 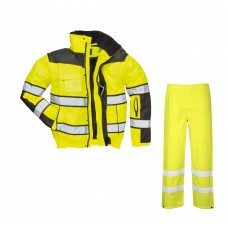 Indicates that the garment incorporate flame resistant reflective tape. This symbol indicates conformity of essential health and safety requirements as set out in European Directives.